Search for the best rates right here that offer popular home equity loan programs for cash in hand, house repairs, debt consolidation and much more. For over a decade we have been connecting homeowners with lenders that offer a smooth path to cheap money with affordable home equity mortgages and credit lines for financing home remodeling and consolidating debt. We believe the "home equity loan" is an excellent vehicle for homeowners to raise capital, refinance debt and fund home improvement projects. We are proud to be able to match people with home equity loans that best meet their needs and qualifications. Have you been searching for lenders that provide a wide selection of fixed equity loan programs and second mortgages? BD Nationwide offers all types of equity home loans in 1st or 2nd position with home equity plans for fixed rate installment loans or revolving credit lines. With the market conditions improving, now is an excellent time to get a professional quote on an equity loan with no lender fees. Talk to industry leading lenders that remain some of the last premiere home equity bankers who still offer financing for people with no equity. We offer prime equity mortgages and lines for people with good credit and subprime equity loan plans for borrowers with bad credit. BD Nationwide is focused on remaining an industry leader for high LTV equity loans and refinancing transactions. In a recent article, IHE Account Executive Dan Ambrose said, "No broker has a better understanding of home equity loans." Compare a fixed rate home equity mortgage loan to a revolving line of credit. In the past, both fixed home equity loans and variable equity credit lines were tax deductible, but as of January 1, 2018, the interest on home equity loans and credit lines is no longer considered a "write-off." We typically recommend the home equity loan because it has the security of a fixed interest rate and the credit line rate will fluctuate with market conditions. Did you know that home equity loans are more difficult to qualify for these days because of the dramatic rise defaults? For people with fair or less than perfect credit, we suggest getting cash out with a refinance loan insured by the FHA because they require very little equity. FHA does not offer home equity financing, but they do allow consumers to take out equity loans to subordinate to FHA first liens. Borrowers can get cash back in a home loan from 85% loan to value. Consider the "stated income" home equity loans that allow first time homebuyers to qualify for loans without having to document their income. You will need to find a stated income mortgage lender that offers home equity products. Remember, an equity loan that requires less documentation usually requires a lot more equity. Getting an equity loan approved without income documentation will typically require higher credit scores. (FYI- Most stated programs have been placed on hold). Credit Requirements: Lately, the trend for home equity mortgages is approved for applicants with good credit. Borrowers that need a home loan for people with bad credit are typically directed towards FHA or hard money. (Please be aware that most lenders have a minimum fico score for equity loan products. If you meet the LTV requirements, some private money lenders may waive minimum credit score requirements on some hard money programs.) Credit standards change frequently, so it is prudent to check to see if there are any new programs for bad-credit home equity loans. Get More Home Equity Loan Info and Learn What It Takes to Qualify for Extra Cash to Complete a House Remodel or Refinancing High Rate Credit Card Debt! In many instances, home equity loans offer quick cash to homeowners who want an affordable monthly payment that is tax deductible like their first mortgage. Borrowers like the home equity lender partners at Nationwide because they offer second mortgages that meet their needs without requiring them to refinance their first mortgage loan if it does not benefit them. We'll help you find online equity loans that continue to open the doors of opportunities for homeowners looking to leverage their equity with tax-free cash. Discuss tax deductibility with a tax attorney or certified public accountant that is up to speed on the IRS and rules for equity loan deductions. Learn more from the FTC about home equity lines. Maximize Home Equity with a Cash Out Refinance or Home Equity Loan for Debt Consolidation if Your Credit Scores are Good! Having Problems Qualifying for Equity Loans? Try Refinancing with Cash Back - There is hardly any equity needed with FHA. Credit Scores are not much of a factor either. What is a Home Equity Loan and is it a 2nd Mortgage? The definition of a "home equity loan" is a second mortgage that is offered as a onetime lump-sum of money secured and borrowed against the equity in your home. Online home equity loans are available to borrowers who complete a residential loan application and can document their income sources. Home equity mortgages ensure a fixed interest rate that is secured as a lien in second position on the deed to your property's title. In most cases, equity loan rates are low with affordable interest rates like traditional mortgages. Fixed home equity loans provide fixed monthly payments and a fixed amortization schedule. Cash is allocated to borrower at time of closing escrow (or at the time your loan funds) Home equity loans are tax-deductible in most cases. These fixed equity loans are very popular loans for debt consolidation & home improvement. There are no annual fees with fixed home equity mortgage loans. There is an interest only home equity loan available which is called a HELOC loan and borrowers only pay interest on the portion of the funds that are accessed. Home equity refinancing locking in a fixed interest rate is recommended once your credit line funds have been used. What Are 125 Home Equity Loans? 125% equity loans are 2nd mortgage liens that used to enable people to borrow beyond the value of their home. These high LTV loans were very popular a few years ago for homeowners that wanted to refinance credit card debt without any equity. The 125 loan was unique because an equity loan is secured by real estate and personal credit. Clearly the "125%" underwriting guidelines were more concerned with credit scores and residual income than equity because if the borrower defaulted the lender had no recourse. Due to market conditions on the secondary market, the 125% program has been put on hold. Free Home Equity Loan Quotes Online. A few years back, lawmakers implemented tougher restrictions on home equity lenders. 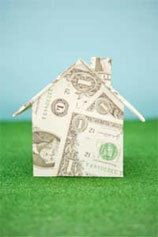 2nd mortgage companies frequently underscore the tax advantages of home equity mortgage plans. Dodd-Frank expanded Regulation Z to prohibit lending organizations from advertising tax benefits on equity loans that could be misconstrued as misleading. The interest on the portion of the credit that exceeds the fair market value of the home is not deductible from federal income taxes. The borrower should consult a tax advisor regarding the deductibility of interest and charges. Even though there are many benefits for consumers considering a home equity loan, there are some risks with these loans as well. 1. If a homeowner uses their equity in their property and they need to sell their home, they could be "short to close" or not have any proceeds from their sale of their house that could potentially be used for the purchase of another property. 2. It puts some people at more risk to lose their home if something happens and they are unable to make their mortgage payment. * This is a sample of refinanced credit debt to and assumes interest rate for the equity loan at 8.75% (APR 9.67%) with $795 in closing costs (2-7-09). Talk to a lender and learn more about how to maximize the equity in your home! Many financing experts consider equity home loans a valuable vehicle for homeowners to access cash. Shop Financing - Our equity loan specialists will try their best you find you a solution that meets your needs while yielding savings. Oregon Home Equity Loans – Local residents from Portland, Eugene, Salem, Beaverton, Medford, Bend and Corvallis have begun to refinance their recently acquired credit with fixed equity loans. Equity Loans for Virginia Homeowners – Local homeowners from towns like, Charlottesville, Virginia Beach, Norfolk, Newport News, Arlington, Alexandria and Hampton have been utilizing their real estate appreciation with equity financing. Equity Home Loans for People in New Jersey, New York and Pennsylvania. - Local residents from Jersey City, Newark, Paterson Elizabeth, Woodbridge, Hamilton, Trenton, Camden, Buffalo, New York City, Philadelphia and Pittsburg continue to consolidate debt with an equity mortgage. Maryland and DC Equity Mortgages – Many homeowners from towns like, Baltimore, Frederick, Gaithersburg, Hagerstown, Annapolis, Salisbury and Cumberland continue to finance home improvements or pay-off bills. * Equity loan quotes are subject to submitting an application to home equity lenders. The standard conditions for underwriting qualifications: verification of income, employment, assets and other info like obtaining an acceptable property. 125 equity loans on hold. However, the HARP 3.0 allows qualified underwater borrowers to refinance their 1st mortgage. See lender for more info on Home Affordable Refinance. Lock into a fixed home equity mortgage rate to leverage homeownership. 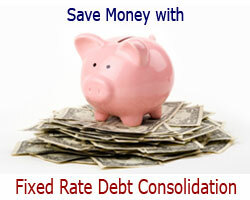 Borrow up to 90% with a fixed rate and fixed payment. Lock into an equity loan with minimal interest that helps maximize your real estate investment. No Equity Required! First Time Home Buyers are invited to apply. FHA 203k loans enable qualified borrowers to get cash out for home improvements and remodeling. Please view the popular home equity mortgages below. If you need more information, Please select the loan that interests you most. Get more details click the relevant link below that meet your needs and for researching further. Always calculate and your combined loan to value factoring in the proposed home equity loan. If you don't add the potential loan amount to the existing mortgage totals, you could be shocked with the higher rate that is offered when the reality of your home's equity prevails. CLTV or combined loan to value is essential to quantify home equity loan eligibility. Fixed Rate Second Mortgage or Variable Home Equity Line of Credit? Examine the features and benefits of the latest home equity loan products. Understanding the differences between fixed rate equity loans and variable rate credit lines can help you make the right decision with respect to leveraging your property's equity. Learn more about the rules of equity loan qualification and what "loan to value" levels are required. Learn How a "Home Equity Loan" Can Save You Money While Helping You Maximize Tax Deductions! Call for Free Loan Consultation from Nationwide Home Equity Lenders who will help you get approved for a loan that best meets your goals and budget. "The loan officers at Nationwide helped me compare home equity loans until I was sure that I found the right loan for our family’s goals. I was able to pay off some bills and get cash for home improvements and my new business. Thank you! "We needed money fast to complete a construction project on our vacation home. We already had an interest rate way below the current market options with our current mortgage, so a equity loan made sense. Unfortunately several banks were not interested in extending us the money we needed unless we refinance our 1st loan. Our friend referred us Nationwide and right away they connected us with a 2nd mortgage lender that delivered a great home equity mortgage that was created specifically for home construction. Thanks for all your time and dedication. Lenders offer new home equity loan options. If you want access to more money, then using your home as collateral can be a wise financial decision. In addition to tax deductions, homeowners have the ability to reduce housing expenses and minimize interest when consolidating debt. For decades, people have been using house equity loans as a solution for consolidation of revolving accounts. Mortgage Blog, Get with new insight every day about Home Equity Mortgages, Cash Out Loans, Refinancing and More. We found Nationwide online and compared their equity loans with several banks. Professional and Lowest home equity rates. Easier credit rules on home equity mortgages than our local banks. 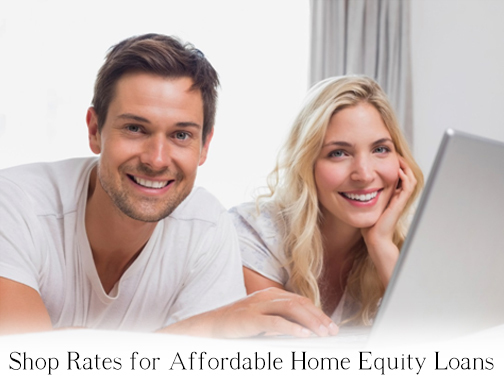 Nationwide offers the best home equity loan rates online! Good service and a wide variety of home equity loan programs for all types of credit ratings! Great system that allowed us to shop equity loans with reputable lenders quickly and efficiently! We got approved for a $100,000 equity home loan at an amazing interest rate. They did not require us to include or 1st mortgage. A friend referred us to BD Nationwide because they were able to get a home equity mortgage to finance a solar energy system. We took their advice and got approved for a green mortgage that cut our electric bill in half. We are saving money and helping the environment. That’s cool. Thanks for all your help guys! A few years ago we took out a credit line to pay for a new pool. The problem was that the interest rate adjusted and no one provided us a solution for refinancing because we didn’t have any equity. Finally we found Nationwide who was able to get us a home equity loan that had a fixed interest rate. We are saving more than $125 a month now and no longer have to worry about the rate rising. Please note that this is not an advertisement for credit. When a consumer submits a loan request, they will be matched with mortgage lenders that meet their criteria. We do not make equity loans or credit lines online and nothing on this site contains an offer to extend credit for a home equity loan for any purpose with any specific terms. Borrowers are subject to meet the requirements with LTV, credit score and debt to income ratio. 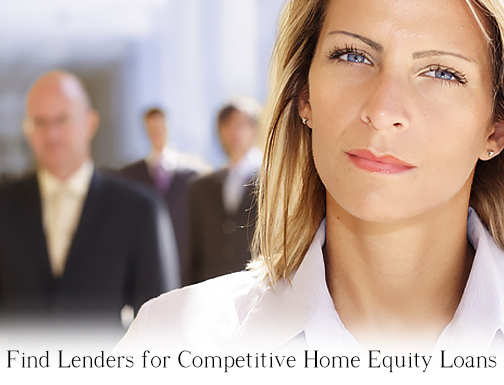 Please see home equity lenders for eligibility and conditions that pertain to loan approval. Copyright © 2001 and Beyond, BDnationwidemortgage.com. All rights reserved. Do not duplicate in any form. Please note that not all borrowers will meet the underwriting criteria for a home equity loan.